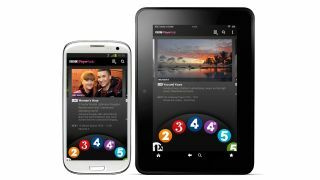 The BBC has launched its iPlayer Radio app for Android devices and the broadcaster's executive producer for mobile insists that it is better than the iOS version. Android users have long been frustrated that apps often launch first for Apple products, but in this case there may be a benefit with the BBC's James Simcock explaining that iPlayer Radio for Android is superior. "This app has all the features of the iOS app as well as some improvements that, as an Android user myself, I think make it even better," he said. The iPlayer Radio will not only give access to the BBC's radio stations but also to set the alarm to wake up with your favourite programme, swipe to access on demand content and videos and set programme reminders. Last, and definitely least, you can discover what tracks are playing and share/inflict them with/on your friends. So, Android users, you had to wait a bit longer but at least the extra time brought extra functionality. But exactly WHAT new functionality? According to the BBC's blog, all of the usage date gathered from iOS has been used to streamline the design of the App for Android, a notification panel has been included and the alarm clock works even when the app isn't active.